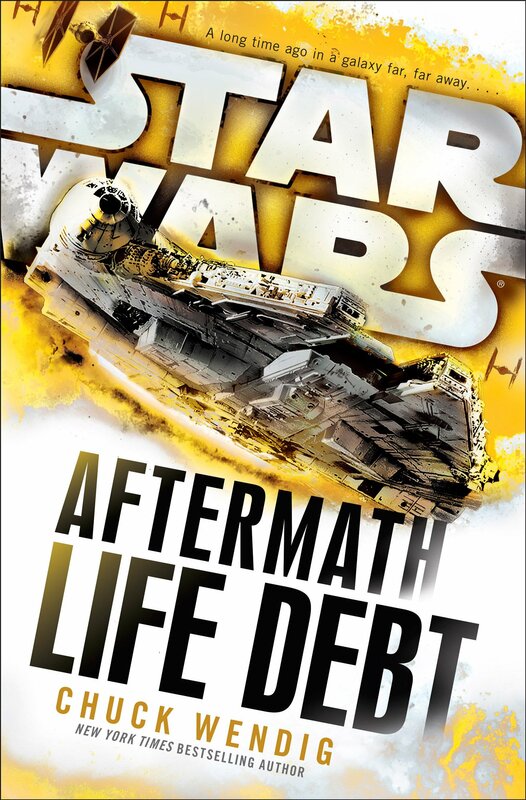 Aftermath: Life Debt is the second novel in Chuck Wendig’s post-Return of the Jedi trilogy, following Aftermath and preceding Aftermath: Empire’s End due for publication on January 31st, 2017. Thanks to our friends at Random House, I am able to bring you this early review. But, because most of you haven’t had a chance to read the book yet, the review will be split in two parts. The first one will remain mainly spoiler free, but heed my warning before you venture into the second part. When we left our heroes in Aftermath, Norra and Temmin Wexley, Sinjir Rath Velus, Jas Emari, Jom Barell and Mister Bones, they were sent after some Imperial targets at the suggestion of Admiral Ackbar, armed with data holocrons which Temmin stole from a crime lord. At the beginning of this novel, we see them in the thick of the action trying to extract an Imperial from a crime syndicate stronghold. Since they come from diverse backgrounds – a rebel pilot, a teenager, an ex-ISB officer, a bounty hunter, a marine and a murder-bot – there are still tensions and mistrust within the group, but they are growing on each other, some more than others. They are asked by Princess Leia to find her missing husband, Han Solo. 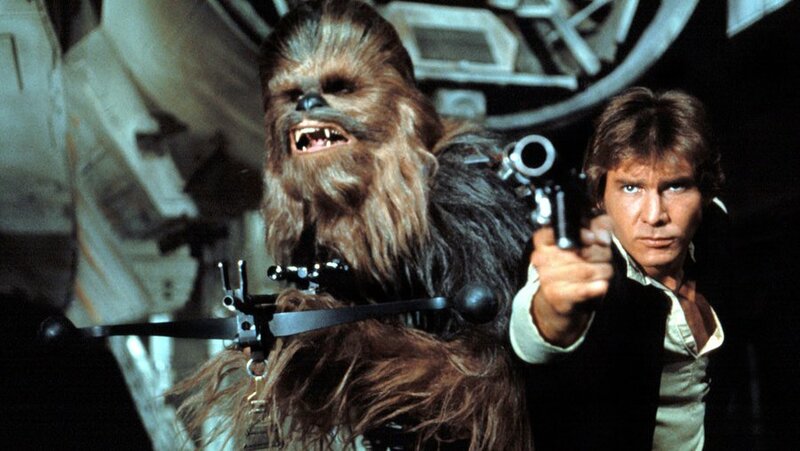 Han’s chance for freeing Kashyyyk was a ploy by the Empire, Chewbacca was captured and Han barely escaped. He resigned his commission in the Republic and spent the entire time searching for Chewie. But, the last communication between him and Leia was abruptly interrupted and she hasn’t heard from him since. Our team is ready to roll. 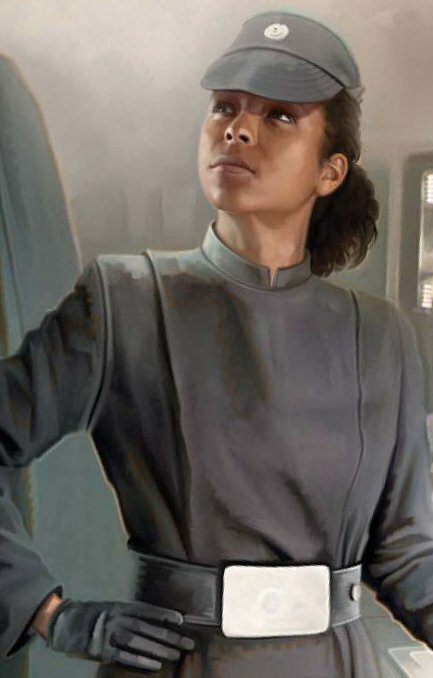 On the other side of the war, Rae Sloane has to deal with Fleet Admiral Gallius Rax, a shadowy figure whose files are mostly redacted and who reported directly to Palpatine during the last few years of the Empire. Sloane always believed in the Imperial order, but Rax’s methods and secrecy are starting to make her uncomfortable. In a way, Sloane believes in an idealized image of the Empire (she thinks slavery was never part of her perfect Empire) and cannot get a handle on the man, who is supposed to be her superior. Therefore, she decides to investigate the Fleet Admiral’s past. But, Rax is the master manipulator and his schemes reach much farther than Sloane can imagine. Naturally, these story lines eventually converge with the shocking results. When you start reading the novel, several things pop out at you. For one, Life Debt is a much more streamlined novel than Aftermath. The focus and the purpose are clearer. The other is that you now understand the seeds Wendig planted in the first novel because they start bearing fruit in this one. This also makes the interludes much more interesting because you are beginning to understand the author’s intentions and already imagine how they will pay out in the final novel. Finally, while Wendig does not abandon his style completely, it is clear that he has heard some readers’ complaints. He still writes in third person present tense, but he mostly abandoned short, choppy sentences. Which, I think, is a perfect response to criticism. Hear it, digest it, but don’t completely compromise your own thing. While I, personally, liked Aftermath, I can recognize that Life Debt is a better book. That in itself is a success, especially because the middle book in the trilogy is a tricky thing to write. Story wise, Wendig describes the galaxy not just divided between the Empire and the New Republic, but the galaxy in chaos – with various groups pursuing different goals out of ideology (like Acolytes of the Beyond) or ambition and avarice. It is also a time of self-examination, for both the New Republic and the remnants of the Empire. What is the New Republic, its goal, its ideology? Will it be a protective hand that guards the galaxy or will it break apart before it even began? We can already see the seeds of the future conflict within the New Republic represented here by Leia’s conflict with Mon Mothma. Leia feels the Republic needs to help liberate enslaved planets; Mon Mothma is a politician, thinking about benefits for the young Republic. You know that when the Princess fails to convince, she goes through the wall and drags others with her, willingly or not. 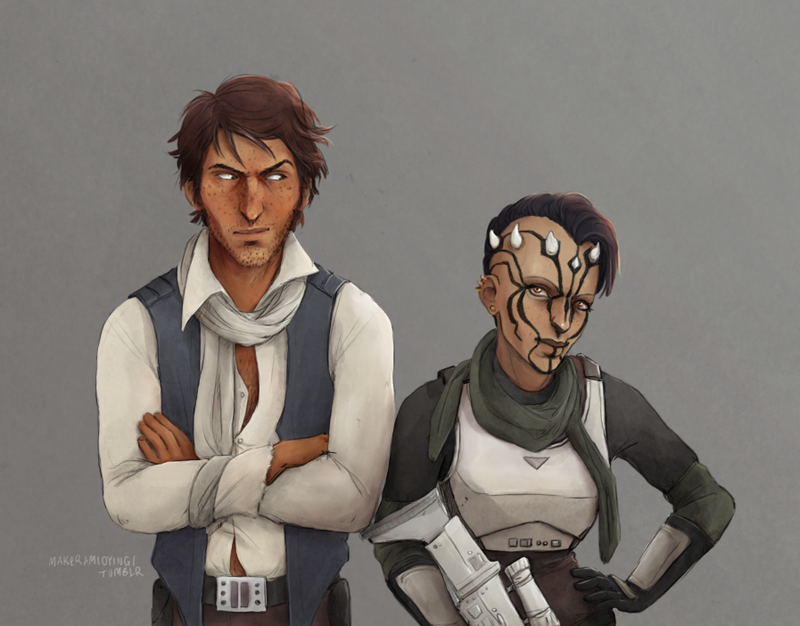 The situation is similar within the Empire – with Rae Sloane and Gallius Rax as the main players. Most importantly, though, Wendig gives us a more intimate book by placing us in the heads of our main characters and showing us their fears, doubts and their growth. Sinjir is still my favorite character, the ‘man without a star’ as Jas puts it. He is still a sarcastic loudmouth and a badass, but he is looking to change and move away from his past self. He managed to break my heart a little in the end. We get a quality time with Jas as well and learn more about her, especially the reason why she is so single minded. And we see a character pulled in two, between who she was (and claims that she wants to be) and who she is becoming. I have to admit that Jom got on my nerves at the beginning of the book, because I dislike holier-than-thou people in books as well as in life. But, the events of this book leave no one unchanged and he grew on me by the end. I’ll say no more about Mister Bones except “singing, dancing murder-bot” (Thank you, Wedge!) and allude to his scene with Han Solo – you will know what I mean when you read it. Norra and Temmin, oh, boy. What to say about these two and not spoil the book? A boy on the cusp of adulthood and a woman who stumbled into being a hero will have some real challenges to face in this novel. Temmin, now nicknamed Snap by Wedge, is training to become a pilot we all know he will become, but at this perfect stage between boy and man other opportunities call out to him as well. Unfortunately, he will have to grow up fast. Norra is continuing to do a good work and worry about her son. She is also trying to go on with her life and, perhaps, find something for herself. But, life has a way of throwing a wrench into your plans. To say more will spoil the book, but look for a scene where Norra shows her strength not by being a badass, but by simply saying “no”. Oh, you wanted to hear about Han Solo? Really? Well, all right. Han is by no means the main character in the book. He is first our group’s assignment and later one of them. Wendig writes a different Solo, one that is incomplete, one without his right hand man or, better said, Wookiee. It is a Han Solo driven by guilt and unbreakable friendship, prepared to walk through fire to get to his man, ahem, Wookiee. 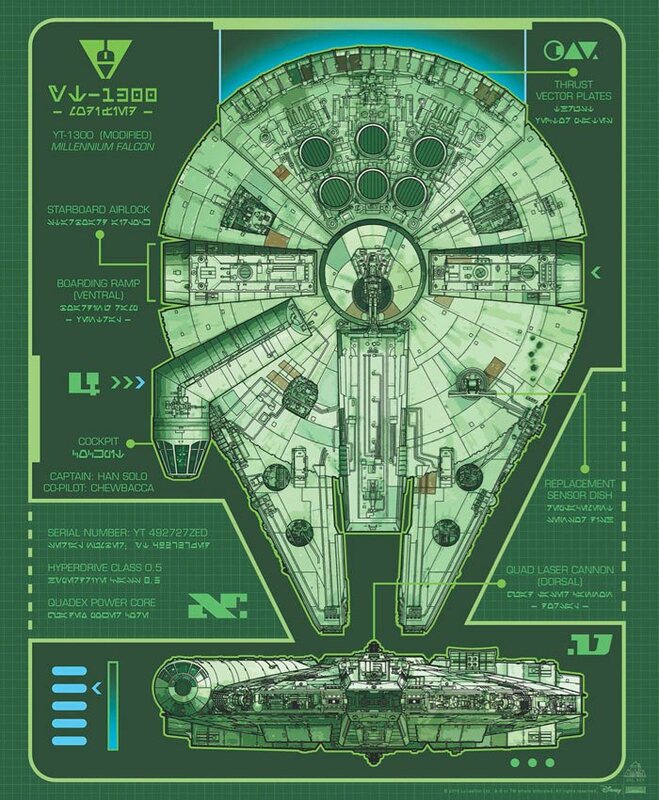 This is, at the same time, the Han Solo that we know and love, with a crazy and gutsy plan in his pocket. In his mind, life debt goes both ways and he will pay it, no matter what. I will say no more, except that Han and Chewbacca managed to make me cry at the end of the novel. Why? What of Kashyyyk? Read the book. In the end, Aftermath: Life Debt is another good brick in the new canon wall. The release of The Force Awakens clearly gave Wendig more freedom to tell his story and spread his wings a little. I enjoyed his description of the situation in the galaxy as well as the action and touches of humor. But, mostly I enjoyed his characters and their development. He made me care and fear for them; they made me angry, sad and made me laugh. And, as all the roads lead to Jakku, he made me wish that Aftermath: Empire’s End was not six months away. Aftermath: Life Debt is highly recommended. Happy reading! Let’s talk some spoilers. These will be mainly spoilers that influence the sequel trilogy and everything that led to it. I will still not give you major plot points of Life Debt. I will give you some interesting tidbits though. We learn a bit about the future General Hux. For one thing, he is Brendol Hux’s illegitimate son. His first name is Armitage and his father describes him as a “weak-willed boy”, “thin as a slip of paper and just as useless”. With a glowing endorsement like that, is it a wonder that he became a poster boy for Hitler Youth? Additionally, it seems that Brendol Hux is the only one Gallius Rax thinks of as important for the future of his Empire. From Claudia Gray’s Bloodline, we know that he disappeared after Jakku. Training recruits from birth, anyone? The Acolytes of the Beyond make a comeback, this time as a well-organized terrorist group. The ‘Vader Lives’ graffiti are their doing. You move up in their ranks when you earn a mask. Sounds familiar, no? Speaking of Rax, our mysterious Fleet Admiral from the end of the first novel, his story begins (and ends?) on Jakku, when young Galli sneaks onto the ship that carries Palpatine’s adviser Yupe Tashu. Tashu is commanding a group of droids who are building something on the planet. But, the ship is Imperialis, Palpatine’s personal ship we saw in Lando mini-series, and it is Palpatine who discovers him and takes him under his wing. One fact is of note – Galli resists Palpatine’s compulsion. That is telling you a lot about his strength even as a child. Who knows what the Emperor taught him since and until his death. Put all of the above in the mix – Brandol Hux (and his kid), Acolytes, Tashu (who is freed by Rax’s agent) and Rax himself – and you pretty much get the seeds of the First Order. Because there is no rebuilding of the Empire, we already know how the Battle of Jakku ended. We get to see some old – big and small – players. Besides Mon Mothma, Ackbar and Wedge, Mas Amedda, Evaan Verlaine (from Leia comic) and Maz Kanata all make an appearance. Oh, and Malakili, the rancor trainer, last seen crying after the death of the rancor Luke killed. He runs into the new lawmaker of Tatooine in familiar Mandalorian armor and gets a job offer. 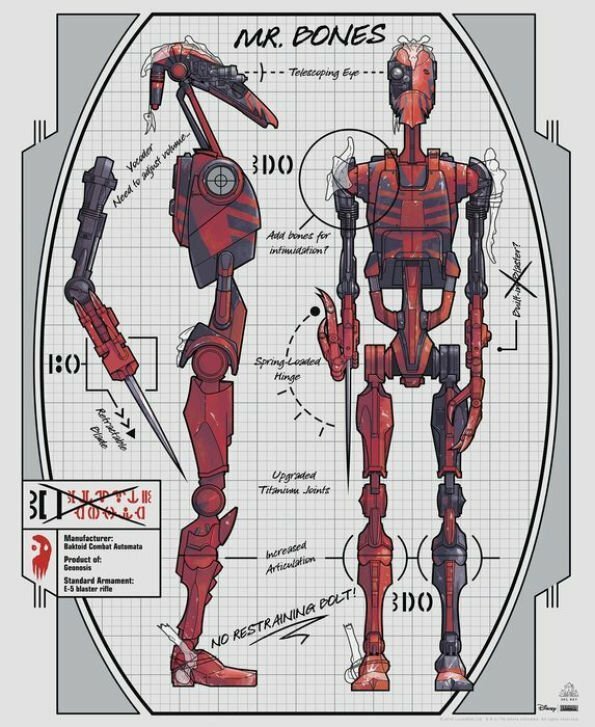 Wendig also presents us with a new kind of droid – a therapy droid named QT-9. Cutie, get it? The author also continues something that we have already seen in the new canon – things are not black and white in the galaxy. Not every Imperial is a monster, though certainly some of them are. And the acts of the Rebellion/New Republic have grave consequences, including the deaths of innocent children. War, in general, inflicts great wounds, some of whom will never heal. Finally, if you had your hopes up that you will see Luke in this book, I am sorry to disappoint you. Except a couple of sentences that can be interpreted as his Force-sending to Leia, there is nothing and my opinion is that we will not see Luke Skywalker until Episode VIII is released. If you have come this far, well done! If you desire more spoilers, you can ask for them in the spoiler thread in The Cantina and I will do my best to answer them. Aftermath: Life Debt is available now wherever books are sold. Stay tuned to Star Wars News Net for more news and reviews on Star Wars books, comics and more!